Do you have a desert recipe you've perfected so much that it's the only recipe you make every christmas/holiday?? I've said in the past. I am NOT a baker. Whatever I make has to be gluten free is just a recipe for disaster(haha, see what I did there)! So when I found this recipe for GLUTEN and DAIRY FREE peanut butter truffles with only 4 ingredients! I about fell out of my computer chair. I've made them every year since I found the recipe and they are such a crowd pleaser. In a bowl, mix crushed pretzels, powder sugar, peanut butterForm into balls and place on cookie sheets with parchment paperIf the batter is too sticky to form into balls, add more powder sugarPlace the cookie sheets in a freezer for 20 minutes.Right before you pull the peanut butter balls out of the freezer. Melt the chocolate any way you'd like. I personally melt the chocolate chips in a microwavable bowl in 30-second increments, mixing till smooth. 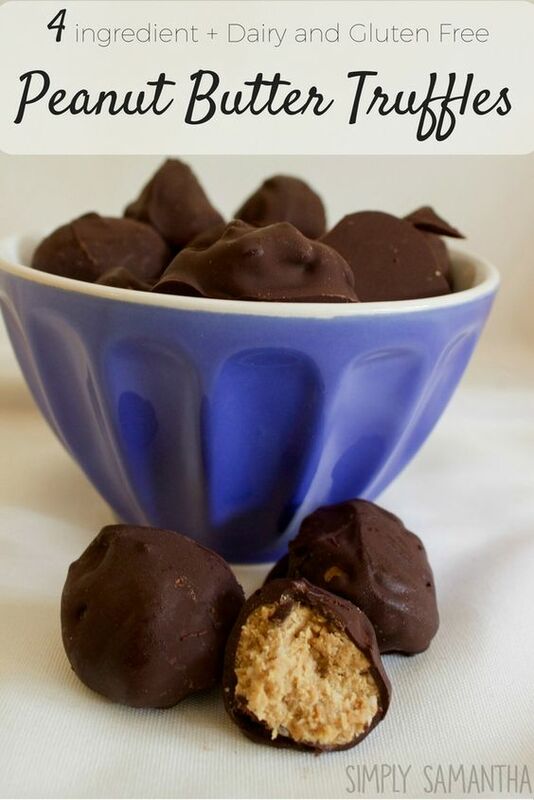 Dip the peanut butter in chocolate till fully covered and place back on the parchment paperOnce all of the peanut butter balls are covered, place them in the freezer again, on the cookie sheets, till the chocolate is hardenedOnce hardened. Keep in the refrigerator so they don't harden too much. They become hard to eat when in the freezer for too long. Hello, Much appreciated for your recipe, I was wondering, is there anyway to get PDF format of this recipe, I would like to download this recipe.